Gorroochurn Prakash, 2016, Classic Topics on the History of Modern Mathematical Statistics. 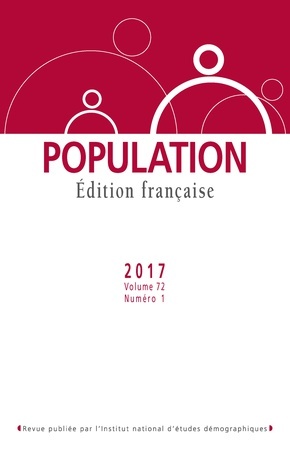 From Laplace to More Recent Times, Holoken, New Jersey, John Wiley & Sons Inc., 754 p.
The Population Knowledge Network (eds. ), 2016, Twentieth Century Population Thinking : A Critical Reader of Primary Sources, London and New York, Routledge, 246 p.
van den Berg Richard (ed. ), 2015, Richard Cantillon’s Essay on the Nature of Trade in General. A variorum edition, London, Routledge, Routledge studies in the history of economics, XV-513 p.
Kaplan Steven L., 2015, The Stakes of Regulation. Perspectives on “Bread, Politics and Political Economy” Forty Years Later, London and New York, Anthem Press, 468 p.
Dubert Isidro (dir. ), 2014, « Démographie des dictatures », Annales de démographie historique, n° 2, 256 p.
Lachenal Guillaume, 2014, Le médicament qui devait sauver l’Afrique. Un scandale pharmaceutique aux colonies, Paris, La Découverte, Les empêcheurs de penser en rond, 282 p.
Doron Claude-Olivier, 2016, L’homme altéré : races et dégénérescence (xviie-xixe siècles), Paris, Champ Vallon, 592 p.